MAKESHOP » Announcing: The MakeShop Show! Hey kid-makers, there’s a new website just to show YOU how to make cool projects! Use your creativity and things you have at home to make cool stuff like pillowcase pajamas and real furniture out of rolled newspaper. The MakeShop Show is a new online maker hub for kids ages 6-10 packed with project videos, resources, downloads and bright ideas to create a MakeShop at home. Check it out and share it with your friends! 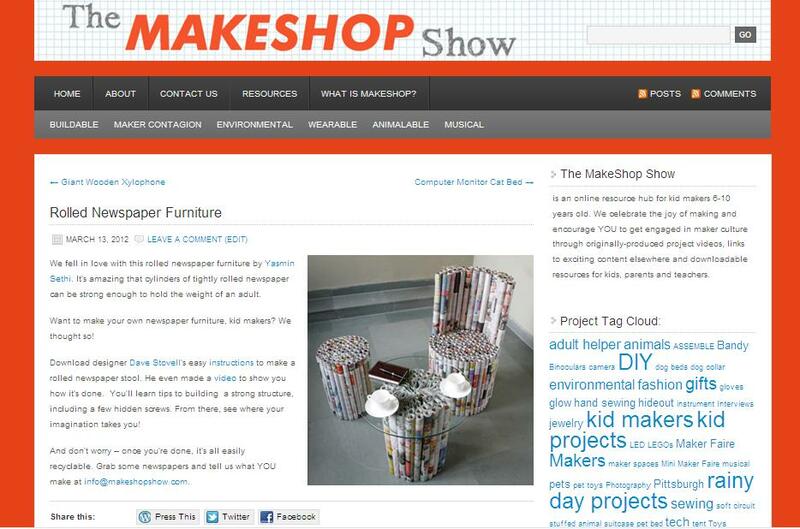 Submit your project ideas or volunteer to help host an episode at info@makeshopshow.com.